In addition to my weekly link-up with The Pleated Poppy, I'm also participating in Marionberry Style's Trend of the Month! 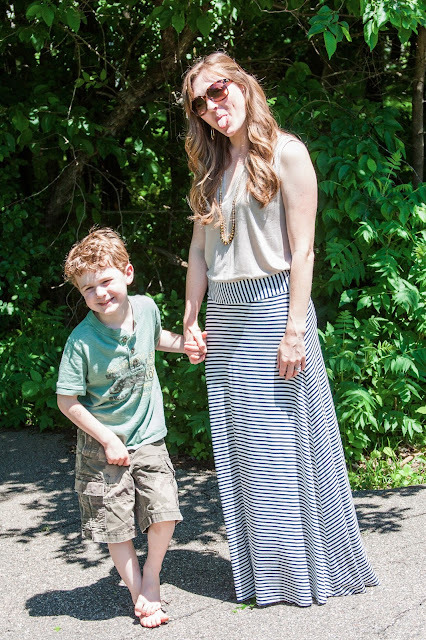 I found this maxi last year at the Gap Outlet and I love it. It's super long, super soft and I love the stripes. I love how the stripes change from vertical to horizontal. And yes, my skin really is that white....I could be Edward Cullen's sister (minus the creepy eyes). 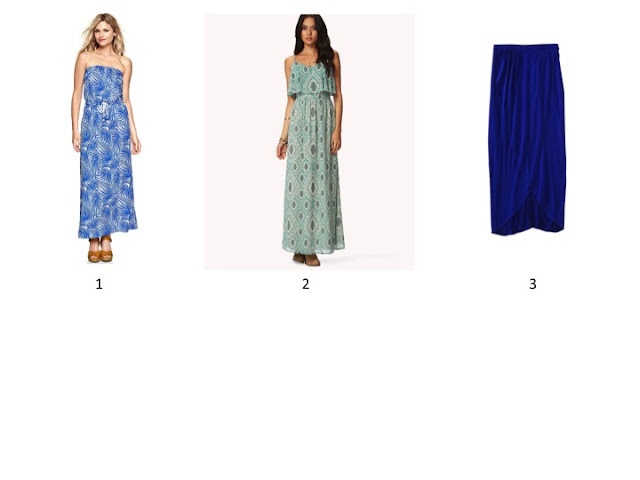 And if you're in the mood to shop for maxis, here are a few I'm loving! Very cute! See your maxi skirt makes me want to run out and find one for myself. Very cute maxi and I love the styling...very casual, chic and effortless. What a great skirt! 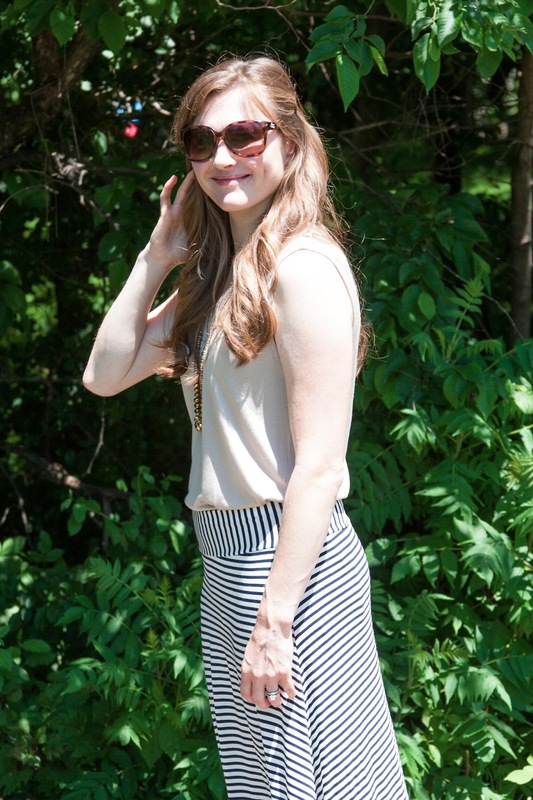 Skinny stripes are a classic, I'll bet you'll be getting use out of that skirt for years. Beautiful! I love the draping of the blouse with your skirt. 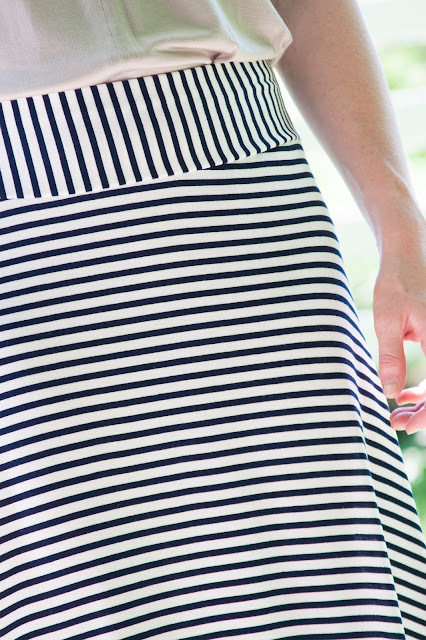 There is nothing better than a striped maxi. You are gorgeous! Such a chic yet casual look.